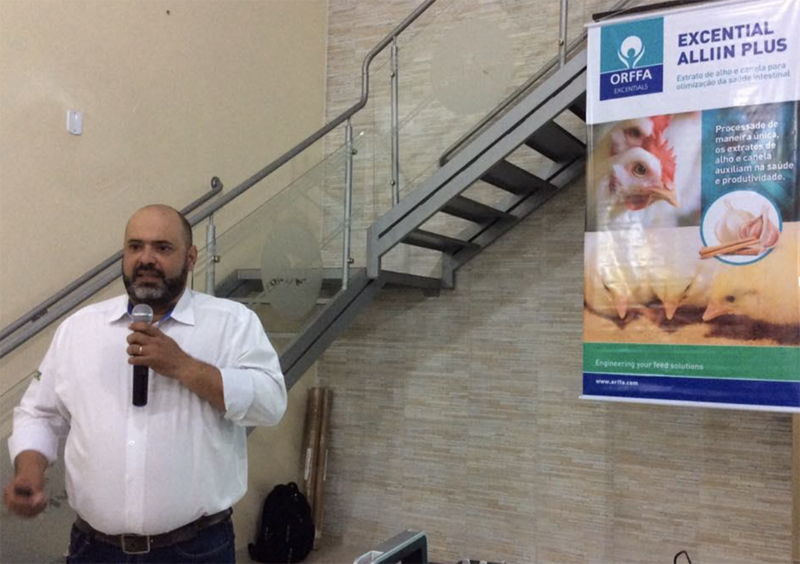 March 21, Orffa do Brazil organized a seminar in Bastos City, Sao Paulo, second Eggs Production Pole in Brazil. Having Luiz Gustavo Rombola, International Technical Manager as speaker, the gathering allowed to put special emphasis in the promotion and positioning of Excential Alliin Plus as the natural alternative to antibiotics using. Amongst the owners, technicians and employees of egg producers from Bastos and border cities, also two reporters of two specialized magazines, “A Hora do Ovo” and “Revista do Ovo” were present.